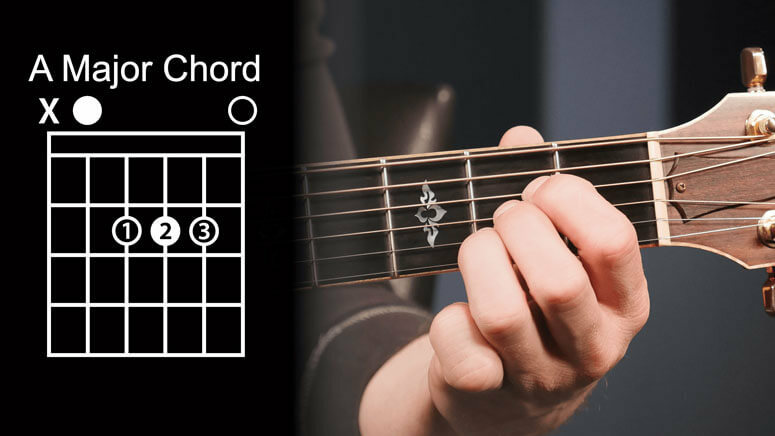 Being a beginner, you can start your musical journey with five simple chords that are A, E, D, C, and G.
Begin by learning these chords and make your journey easier. 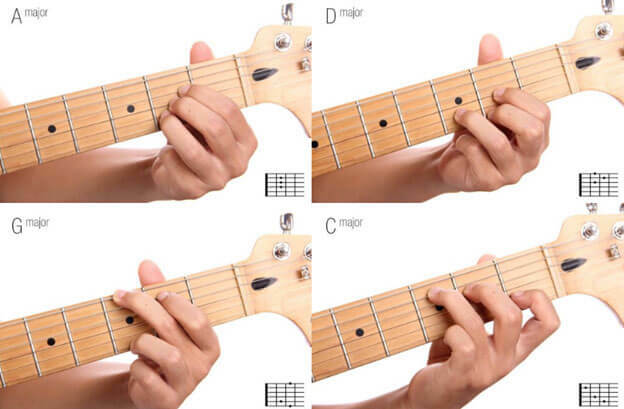 Consult these chord diagrams, and you will be able to play each one of them. To understand these diagrams and practice each chord, tilt the fret of your guitar flat that it should face the ceiling. Now the top E string on the fret is represented by the top line in each chord diagram. In short, the high E string and low E string, both are represented by the topmost and bottommost line in each chord diagram. Many of you might want to become a lead oriented guitarist but don’t forget that rhythm comes first and should be learned correctly. A song can be played without points, but not rhythm so understand the importance of harmony. Work on your chordal playing and develop a better understanding of rhythm and balance to be able to play any meaningful melody. Every guitarist is required to understand the details of chords because this is the only way to improve guitar playing skills. Understanding of chords enables beginners to play rhythmically and merge in different chords to produce a sweet and harmonious melody. Watch this video and find an easy way, to begin with basic strumming rhythm. Practice it with the chords mentioned above. Most of you might find this whole explanation about chords and rhythm useless. So, here is a worst case scenario for all of you to let you know the importance of everything told above. There was a talent show in 2008 in which many students performed to their potentials. Two kids performed a Metallica cover very passionately but inappropriately in front of parents, faculty and other students. It was such a humiliating moment for them. They both played the solos flawlessly, but there was no rhythm which ruined the overall performance. Due to wrong timing and flawed chords, rhythm went wrong. This is the outcome of skipping proper guitar learning lessons and ignoring the little details which are crucial. You cannot perform professionally without practice hence doesn’t ever take a shortcut and follow the proper path to reach the right end. If you don’t want to experience such an excruciating incident, then pay attention to basic chords, rhythm, and smooth strumming. Without these critical factors, you can never perform as an excellent guitarist in public. Rhythm adds volume to the melody and makes it worth listening whereas its absence will make the same song a terrible sound. There are many chords you can play using the same strings in different patterns. 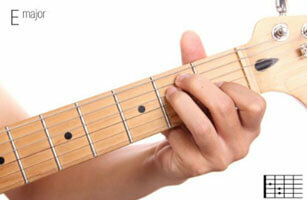 But, for beginners, five basic chords make the learning process easier and faster. Just learn these chords and work on creating the rhythm. Without right timing and proper rhythm, chords do not sound as melodious as they should. So, learn rhythm first and never get embarrassed in front of your family and friends.